Some fascinating developments have recently occured. Moreover, the press, always eager to tar and feather Israel, Zionists, and Likud/Revisionist Zionists/Irgun at the drop of a hat, barely covered it. There is a man, Jewish by birth, by the name of George Soros. Soros is a billionaire who has the unusual distinction of having made common cause with the Nazis, Communists, and Islamists. Pointedly aware of the fact that Soros has been destabilizing governments all over the world, the Hungarian government under Viktor Orbán has waged a political war on him and his nefarious projects in Hungary. During the course of this political war, the Hungarian government used some vigorous anti-Soros messaging. Israel’s ambassador to Hungary, Yossi Amrani, decried what he perceived to be anti-Semitism in some of the anti-Soros propaganda. But, astonishingly, the Netanyahu government retracted the criticism of Hungary’s nationalist party (Fidesz – Hungarian Civic Alliance) and government, and affirmed the legitimacy of the anti-Soros campaign pointing out that the villainous loon is anti-Israel as well. This should not have come as so much of a surprise to those paying close attention to recent developments. 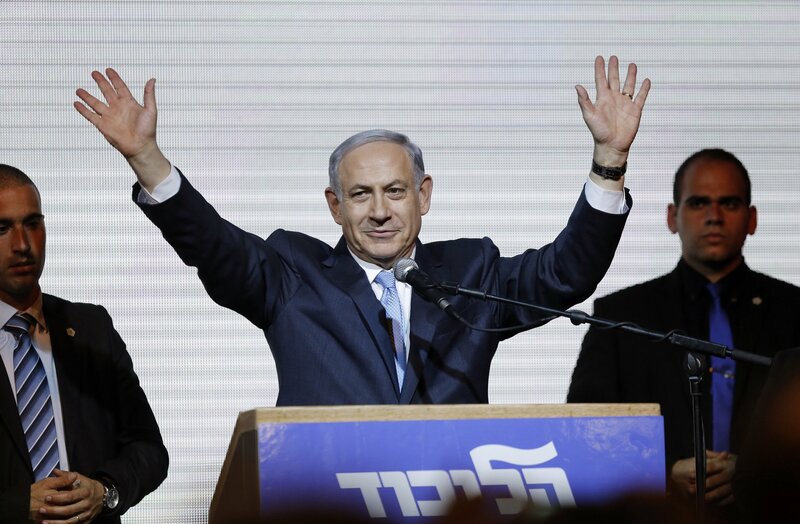 Netanyahu’s Israel has been warming to Eastern Europe’s states, finding more common cause with their nascent nationalism than with Western Europe’s decadent, liberal cosmopolitanism. A recently leaked audio clip of Netanyahu talking with the leaders of Hungary, Poland, Slovakia and the Czech Republic highlights this. Netanyahu and his colleagues around the table are clearly on the same page on some of the great issues of the day, and their views are clearly in contradistinction with establishment liberalism elsewhere in the West. How should this development be viewed? History is a pretty good guide. From its inception, Israel has been guided by one thing: a will for the nation-state to live. All other considerations are secondary to this single cause: pro patria. To that end, Israel made common cause with anyone willing to make common with her. Again, pro patria. Neo-Fascists and Right-wing Nationalists were no exception to this rule. Between 1967 and 1974 Greece was ruled by a military Junta. They were right-wing, and fiercely anti-Communist. And in that period Israel and Greece got along pretty fine. Indeed, after the military Junta was removed, the new liberal government of Greece was more pro-arab, pro-palestinian and anti-Israel than the Junta it had replaced. It must be said that relations between White Rhodesia and Israel were not always flawless. In fact, Israel did not recognize Rhodesia’s Unilateral Declaration of Independence (UDI) in 1965. But, at a time when the Britain was physically blockading Rhodesia, and the world was boycotting it, Israel sold it weapons. Eventually, white rule ended, and Mugabe became tyrant of the country. Mugabe didn’t waste any time in supporting Yassir Arafat’s terrorists against Israel. White South Africa was closely aligned with Israel. Israel traded with South Africa, despite the boycott, and despite routine Israeli de-jure opposition to apartheid. They exchanged nuclear, intelligence, and strategic information–a cheek to jowl relationship that Israel had with no one, possibly excepting the United States. After South Africa came under black rule in 1994, all that ended. The new government was and is anti-Israel and pro-Israel’s enemies. Israel’s raison d’être is to survive. It must put its own interests first and foremost. Furthermore, unlike virtually every country in the world, Israel has a fought a dozen conventional and unconventional wars against its neighbors since 1947. As a result it must make decisions which make cultured people of good taste find uncomfortable. Practically this has meant: taking blood money from the West Germans, receiving weapons from Communist Czechoslovakia, and courting Christian Zionists, some of whom believe that the creation of Israel portends the conversion of all the Jews to Christianity. (Not to mention systematically killing thousands of Israel’s enemies.) And, as I have hopefully demonstrated here, allying and becoming bedfellows with neo-nationalists of various stripes.